Here is a list of some of the best UK Summer Firework Displays that are happening in 2018. 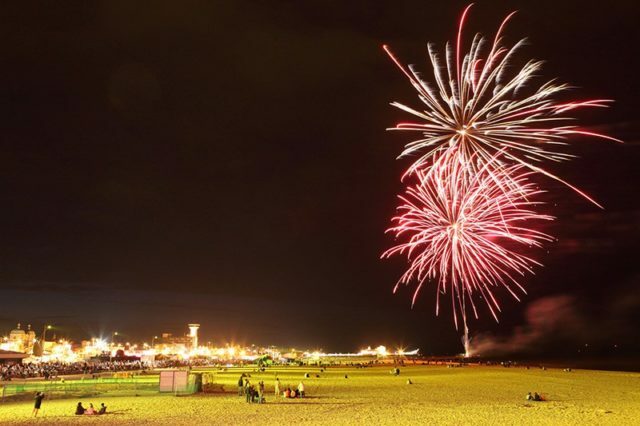 Looking to enjoy the best Breaks with some UK summer Firework displays for 2018. Here is our selection from around the British Isles. Please note: These UK Summer Firework Displays are correct at the time of publishing, we have linked to the website for your convenience. Catton Hall, Catton Park, Catton, Walton upon Trent DE12 8LN, UK. Adults, £25.00, Children, (U16), £20.00, Seniors, £23.00, Family Ticket, (2 Adults + 2 Children), £70.00. 4 Firework displays, Food, Music, loads of good fun. More details can be found on the festival of fireworks website. The Hoe, Plymouth, Devon, PL1 2LR. Begins, 21:30, Ends 23:30. See more on the website. Victoria Park, Rotten Row, Southport, Merseyside, PR8 2BZ. all three dates, 18:00 – 21:00. See the details of the tickets found here. Fireworks, Live entertainment, and much more. 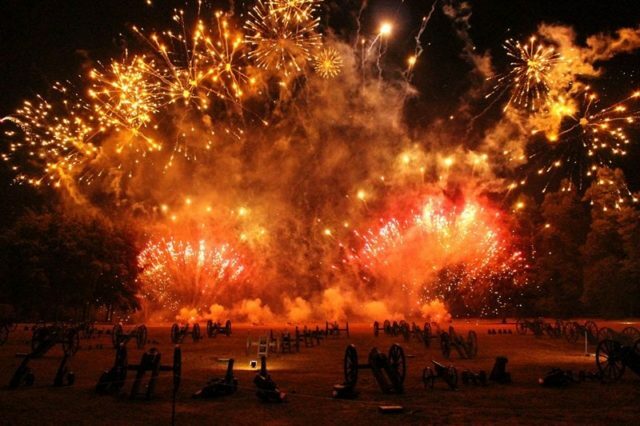 Gates 4.30 pm, WW1 Cavalry, 6.15 pm, The red devils, TBC, The Vignettes, 7.05 pm, Gun Salute, 7.25 pm, Fireworks, 7.30 pm- 10.00 pm. The Estate Office, Melon Ground, Hatfield Park, Herts, Hatfield AL9 5NB. Highclere Park, Highclere, Newbury RG20 9RN. Fireworks, competition, and much more. Visit the website for individual times. Newby Hall, Skelton-on-Ure, Ripon HG4 5AE. Eastnor Castle, Ledbury, Herefordshire, HR8 1RL. Seafront, Great Yarmouth, NR30 2EN. Live Music, Sea Life Centre Gardens, Fireworks. Starts 8:00 pm, Finishes, 10:00 pm. Leeds Castle, Maidstone ME17 1PL. See here for Price, or more information listing. Starts 6:00 pm, Finishes, Midnight. See more information for Prices. Rides & Attractions, Food, Good Fun. Open every day from 10 am throughout July and August. 4 Highcliffe Rd, Swanage BH19 1LW. The best viewing points, are the seafront, the beach, Sandpit Field and the pier, or near the Old Stone Quay. Christchurch Quay, Christchurch, Bournemouth, BH23 1. Live music, Food, Sweets, treats and beauty, bouncy castle, Kids Fun, Beer tent, Cream teas. Starts, 10:00 am, Fireworks, 9:30 pm. Did you enjoy this Your Ultimate Guide UK Summer Firework Displays 2018? please share it with your friends, would you like more? join us on our Facebook group. Have we missed an event? please tell us in the comment below.